The third and final quote above from the first century Greek moral philosopher Plutarch appears parenthetically as a screenshot toward the end of the 2016 HBO film Class Divide. 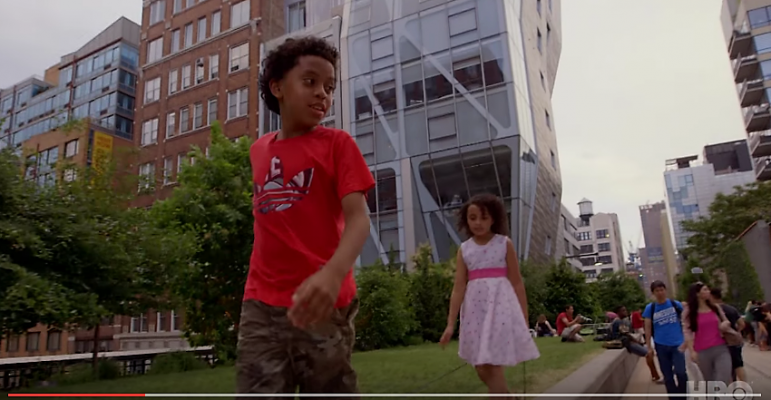 The work of director and documentarian Marc Levin and producer Daphne Pinkerson, Class Divide is an exploration of the “hyper” gentrification taking place in the West Chelsea neighborhood on Manhattan’s west side. This poignant and penetrating documentary easily elicits several emotions, which for me personally consisted of equal parts anger, heartbreak, and hope. The focal point of the film takes place on 10th Avenue, between West 25th and 26th Streets. On one side of 10th Avenue sits Avenues: The World School, established in 2012. A private, for-profit academy, Avenues serves students from kindergarten through the 12th grade, and its annual tuition exceeds $40,000. When it comes to resources — be they academic, extracurricular, social, or other — Avenues possesses an embarrassment of riches. Of course, that in and of itself is no crime, and I imagine that the overwhelming majority of parents anywhere would love the opportunity to send their children to such a school. Directly across 10th Avenue, however, live the approximately 4,500 residents of the Elliot-Chelsea housing projects, where unemployment hovers around 50 percent and the average household of four struggles to earn $20,000 a year. During filming, and in spite of what school founder Chris Wittle describes as “a robust scholarship program,” not one child from the Elliot-Chelsea project was enrolled at Avenues. Of the more than 1,200 students that do go to Avenues, about three percent attend on a full scholarship, and another five percent receive partial financial assistance. The gentrification of West Chelsea began in earnest around 2005 and was given a substantial boost by another featured player in this documentary known as the “High Line.” The “High Line,” which opened in 2009, is a linear city park constructed on the abandoned West Side elevated train line that connects the Hell’s Kitchen neighborhood to Manhattan’s Lower West Side. I believe that one could make a sound argument, at least in principal, that the “High Line,” which runs parallel to 10th Avenue, represents some of the best ideas urban planning and architecture have to offer. I don’t want to come off as too cynical here, so let’s just say that, as is often the case with good intentions, there are unintended consequences. In the case of the “High Line,” those consequences were an even more precipitous and rapacious land grab in West Chelsea that has resulted in scores of opulent condominiums, high-end boutiques, and luxury office space. In its approximately 75-minute run-time Class Divide introduces the viewer to an array of people who have some sort of stake in the neighborhood, including local activists, community development professionals, real estate agents, artists, architects, construction workers, and the parents of both Avenues students and children of the Elliot-Chelsea projects. She later balks at the prospect of an apartment that costs slightly more than $10 million in lieu of its proximity to Chelsea Park and the housing projects. Not surprisingly, the irony of her comments appears to be completely lost on her. Read the conclusion of this column in two weeks in the March 30, 2016 issue of the Minnesota Spokesman-Recorder. 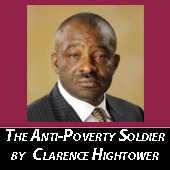 Clarence Hightower is the executive director of Community Action Partnership of Ramsey & Washington Counties. Dr. Hightower holds a Ph.D. in urban higher education from Jackson State University. He welcomes reader responses to 450 Syndicate Street North, St. Paul, MN 55104.